Fran True, an investor in several of the Company’s affiliated partnerships, has been associated with and employed by the Company and or its affiliates since 1997. She manages the accounting responsibilities for some of the retail shopping centers in the Company’s portfolio, including annual budgets and tenant reconciliations, periodic reports for owners, and monthly financial packages. 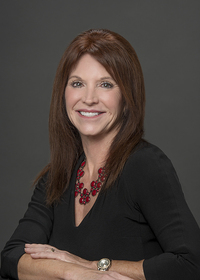 In addition to her responsibilities for the Company, Fran also oversees the accounting and tax functions for Barshop Ventures, LLC, and its multiple affiliates. Before joining the Company, Fran was controller for a San Antonio boutique hotel. Fran earned a Master’s in Public Accounting with a concentration in taxation from the University of Texas at San Antonio, and a BBA in accounting from Our Lady of the Lake University in San Antonio. She has been a certified public accountant since 1986.